At the age of 17, I drank my first bottle of wine, an Amarone from Bertani of 1974. What is surprising, is that 34 years later, this wine would be perfect for drinking, today in 2016. All the magic of wine is right there! At first we drink no matter what, then we try the great classics (Bordeaux, Vallée du Rhône, Bourgogne), then, we drink the great labels like Mouton and Cheval Blanc, after which we go for richer wines. We have periods where we drink only single variety grape wines, after which we need some fresher wines, easily digestable wines with lower alcholol like pinot noir, and after 30 years of tasting, we need to discover some new scents, some new flavours, some new textures, in short some new wines. The true joy lies in the discovery!! This is why, I propose an « hors liste » special carte, for clients open to discovering new « crus ». 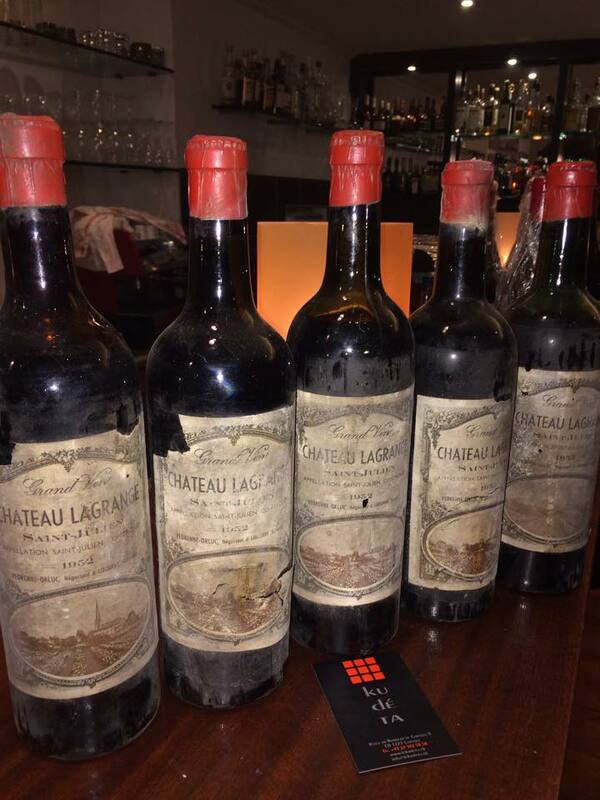 You will find wines dating from 1947 til today, ranging from the the more modest to the prestigious, but all with very different charachters and sensations to be felt.